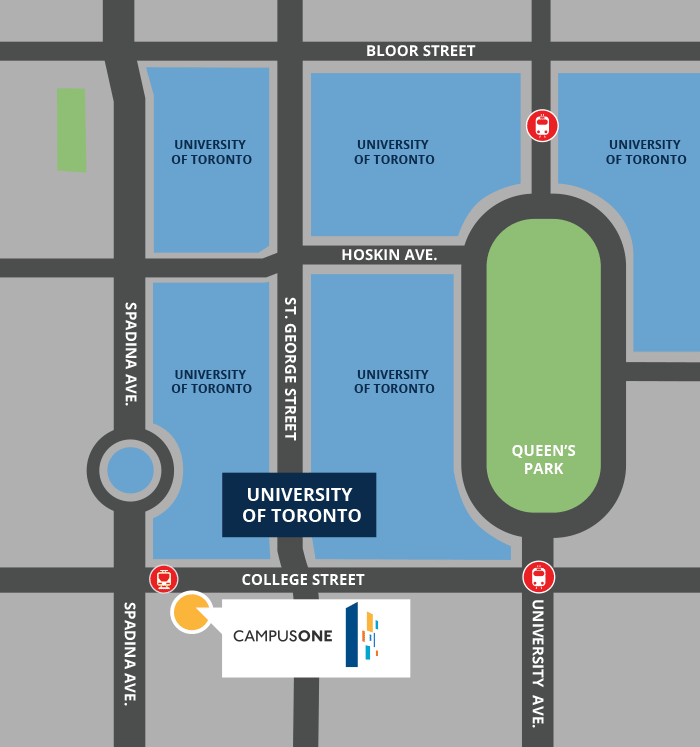 Located in the heart of downtown Toronto, CampusOne is a newly built student residence affiliated with the University of Toronto. Directly across the street from University of Toronto's main campus and close to Ryerson and OCAD, CampusOne is the ultimate student residence experience. Enjoy spacious urban living and state-of-the-art amenities in a safe and secure environment. * CampusOne is an independently owned and operated residence affiliated with the University and the University assumes no responsibility in regard to any agreements entered into by students/residents with the Owner and the Operator. The University makes no representations or warranties and assumes no responsibility for the conditions of services provided at the Academic Residence.